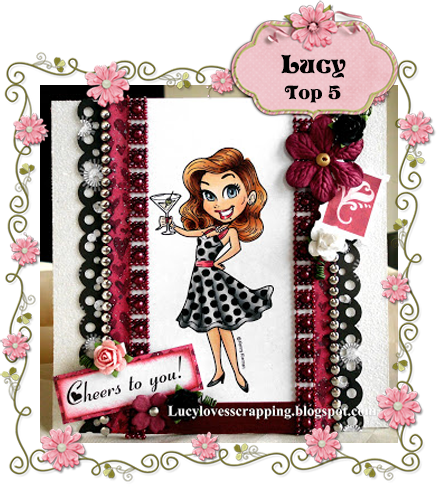 another fine group of top 5 ladies here at Fashionista! Oooh, this was a difficult one to vote on. They are all just gorgeously beautiful. But I did make decision in the end. Amazing cards,but my favorite is the Tinie's card! Chris is my favorite from all te beautiful cards. I have voted for number 4 what a coloring it's stunning. A great selection of cards. I have voted for my favourite. I have voted for my favourite card!! toutes les cartes sont très jolies mais j'ai voté pour ma préférée bonne chance à toutes. 5 super gorgeous cards - but my vote goes to nr. 5 Lucy Patrick - Love all the bling. The are eache one so gorgeus and beautiful!! great job ladies!! I have made my choice but it was very difficult! They are all so gorgeus, love them all but i made my choise. 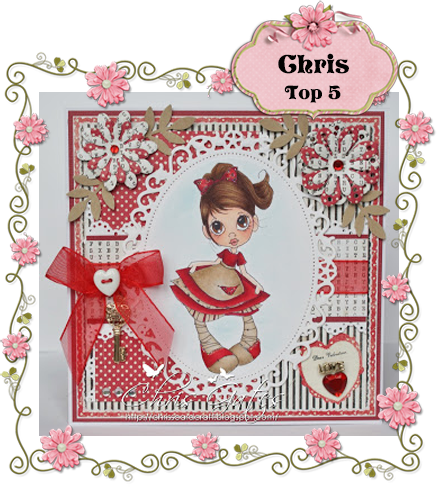 Very hard to choose from this lovely cards but there's one that stands out for me so .........choise is made! I have vote nr. 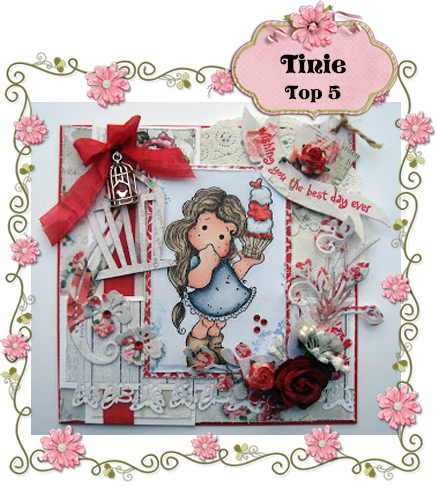 1 from Tinim, I like her card very much. I also voted for Tinie, I like her card best. These are all lovely but my choice is Franz for sure! All 5 are fabulous! But I did vote for my favorite! This is Christi from Feline Playful, so sorry we missed your top 5 this week, it has been added now. Oh and I voted for Franz, her coloring is just phenomenal. 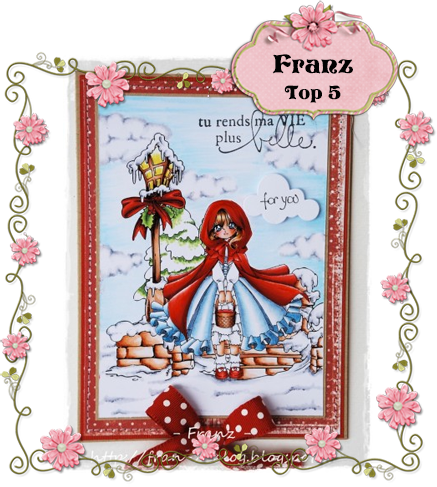 Five fabulous cards but my favourite one is Franz's card because your colouring is like a masterpiece. Beautiful cards! It was hard, but the choice was made. I am speechless--well almost. These cards are just incredible. It was so hard to choose just one but I went with Franz's card. That colouring is just fabulous. Gorgeous cards all of them...... but one is 'above gorgeous'; she's amazing-fantastic-fabulous!! I have voter for number 4.I love colours!